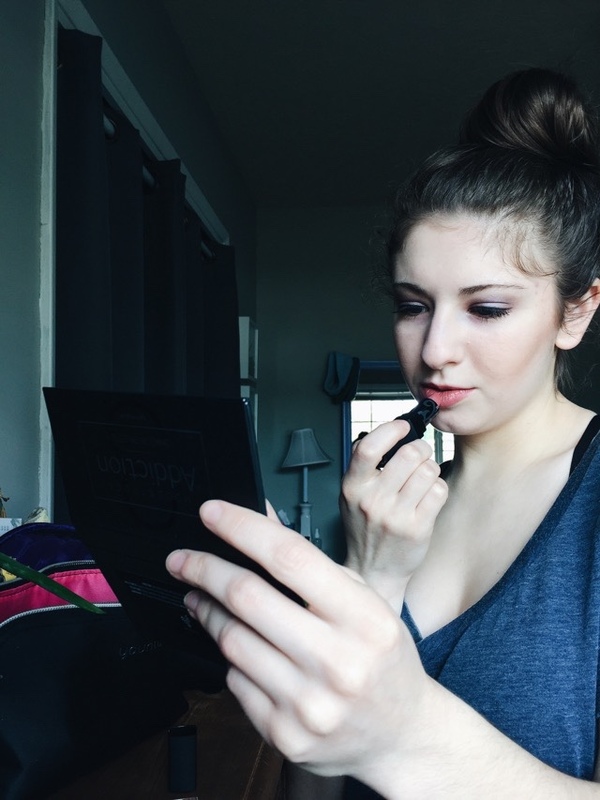 Makeup is an important part of my life. I love looking put together, and I feel a little more successful and ready for my day when I am all made up. For about six months now, I have solely been using Younique makeup, and I have never experienced such quality in my makeup before, even when I bought higher end brands, I never saw the quality in that makeup. With Younique, I experience the quality daily, and Younique has never let me down. 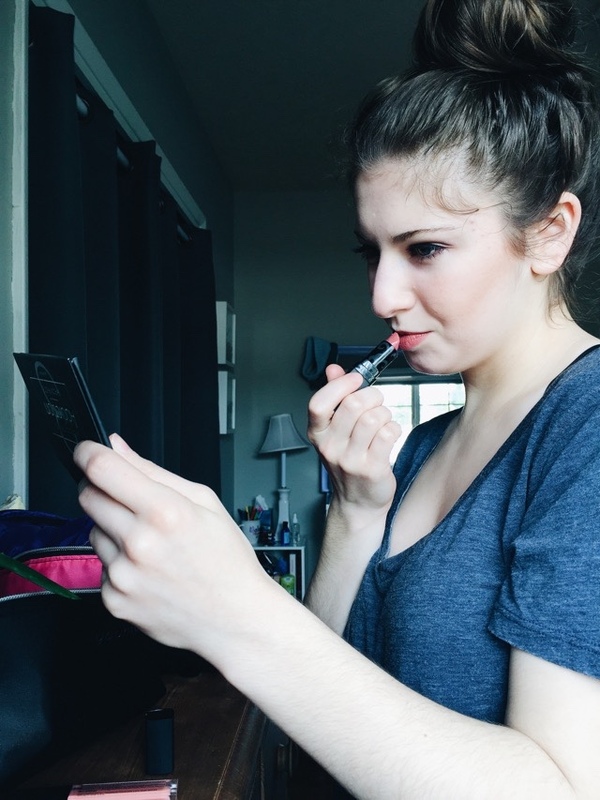 I want to share with you the makeup that helps me feel successful, that helps me feel beautiful, and feel confident. This is the makeup in my makeup bag. First of all, I have a ton of makeup, so I rotate it. 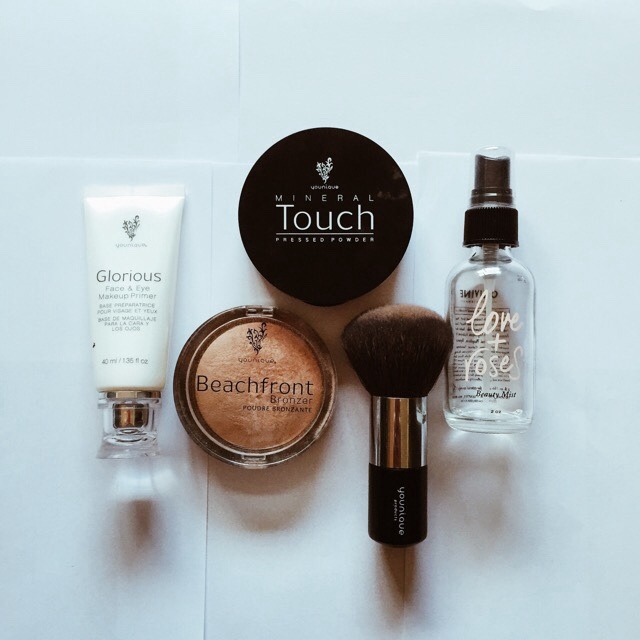 This month, I have been using these products mostly, so to keep them handy in my makeup bag. I can create multiple looks with these products shown below. 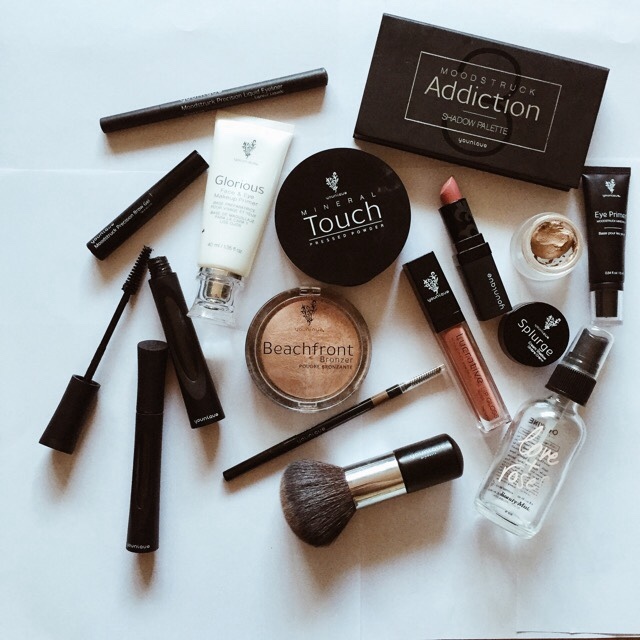 From everyday, minimalist makeup looks, to evening glam looks, I can do it all with the products shown below. 1. After washing and moisturizing my face, I use some Glorious Face & Eye Primer to pave the way for my powder. It makes my skin so soft, and holds my makeup all day. Even without the primer, my makeup holds all day, but I just love how the primer works, and how it smoothes my skin. 2. I use my Powder Puff brush to pat and swirl my pwder on. Tools matter! Tools matter, and the right tools create only the best looks. I use it for both my powder and my bronzer. It gives my skin such a smooth, finished look. The technology of this brush is amazing. 3. My all-time favorite product from Younique, a product I can't ever live without anymore is the Mineral Touch Pressed Powder (my shade is Organza). This is magic powder. I'm not kidding. 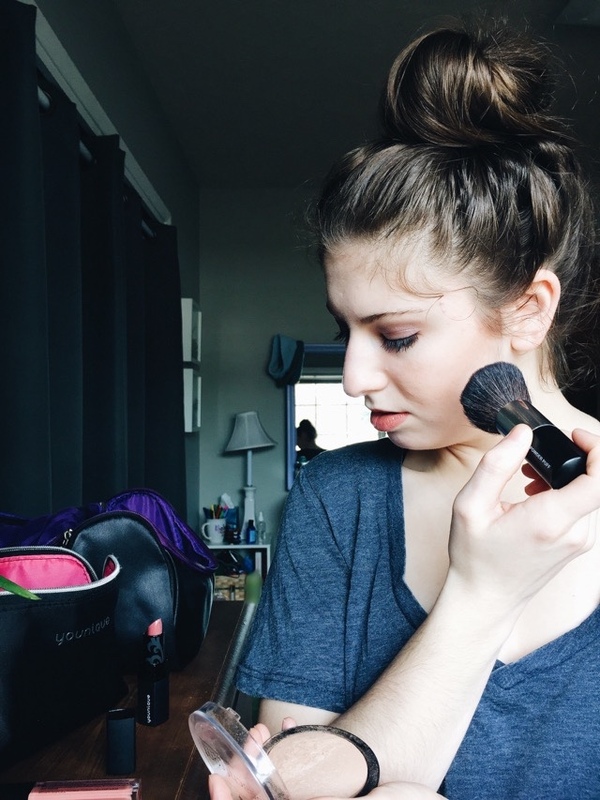 I used to have terrible skin, hormonal acne, and it was embarrassing! My saving grace was this powder. It covered up my problem, and it hid my problem. It was wonderful! It still is wonderful! I love how light it is, and how the coverage is everything I am looking for. It's my favorite, and I always have powder waiting in the wings for when I finish up a compact. It also keeps my face oil-free, and shine-free all day! Itdoesn't clog my pores, and it doesn't have a powdery look to it. It just looks air brushed, and beautiful. 4. For contouring and blush, I use the Beachfront bronzer in Sunset. Oh. My. Goodness. After the powder, this is my next favorite product! When it is on my cheeks, my skin looks beautiful, it gives me a pretty glow, and I love looking sunkissed. 5. The one non-Younique product I do use is Olivine Atelier's Love & Roses rose water. Younique has amazing Rose Water, I just have had different rose waters on hand for a while, and I need to use them up. Supermodels swear by facial mists, and I am a believer too. I love using it as a makeup setter after all my makeup is on, or I use it on days that I don't want to wear makeup, so I spritz my rose water on to clarify, hydrate, and make me feel pretty. These are my eye and brow favorites. My favorite palette, ever is the Addiction Shadow palette #3. It really can makeup your face for any occasion. Everyday makeup, or for date night. 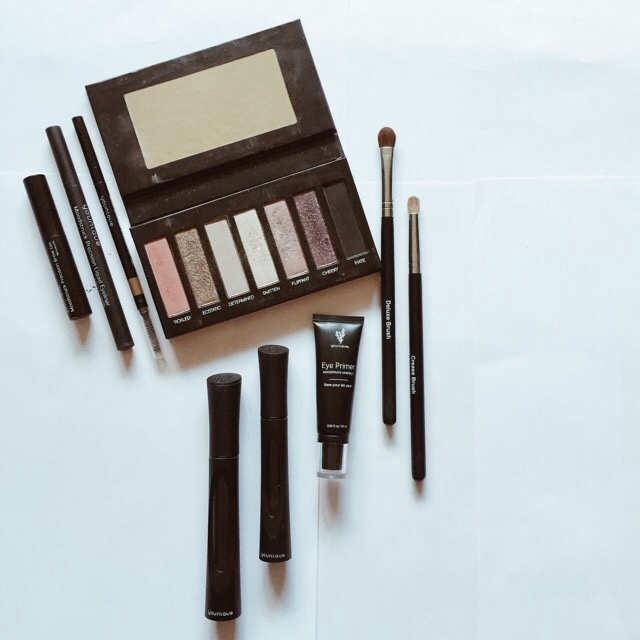 All of the products make for such pretty eyes, and perfect brows. 1. Eye shadow is just not eye shadow without Eye Primer. Younique's Eye Primer is such a soft, smooth formula that enhances the color of the eye shadow. 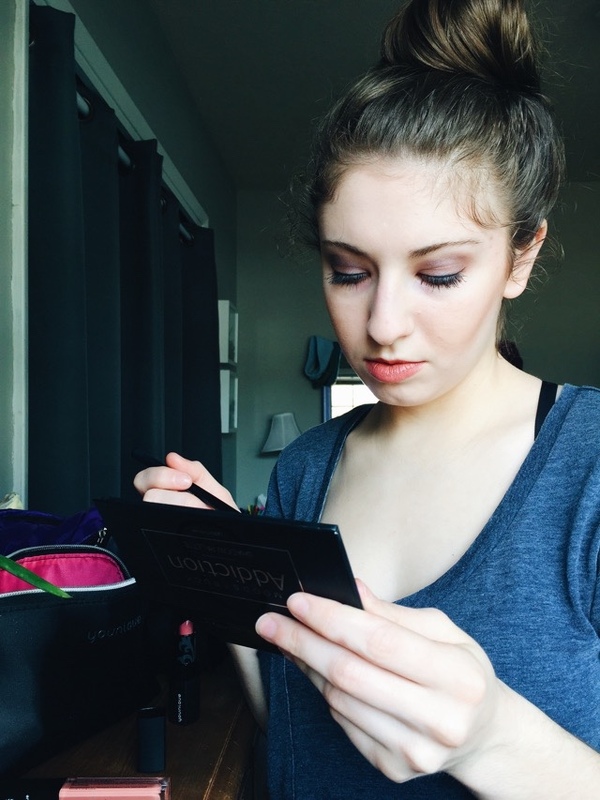 It also holds onto the eye shadow all day, and keeps it looking new. I love the pure magic of Eye Primer. 2. Again, tools matter! 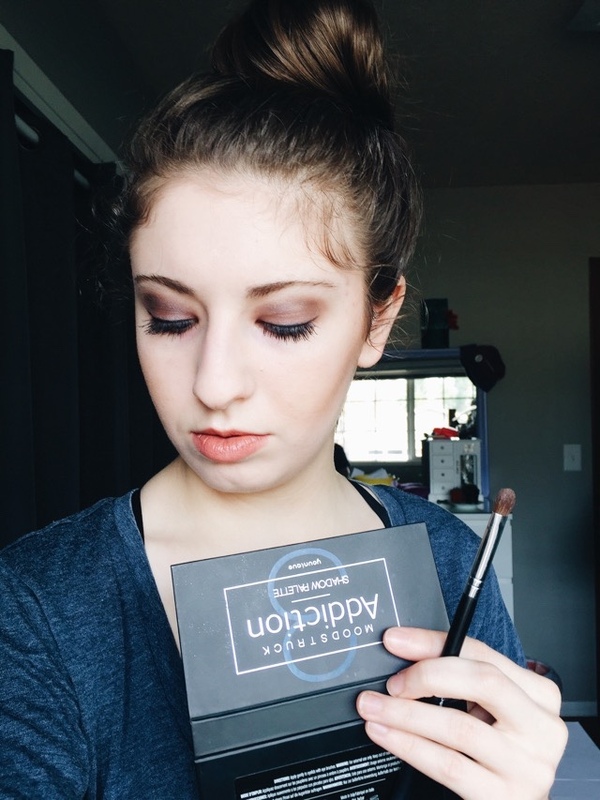 I put my eye shadow on with the awesome Deluxe Brush and Crease Brush. These two tools never fail to give me a flawless look. 3. As I said before, the Addiction Shadow Palette #3 is my favorite palette. It is because of the colors, and because they compliment my eye color. Palettes are actually really easy to use, it just takes some practice. 5. Younique's legendary 3D Fiber Lashes+ mascara. It is so fun to transform my own eye lashes into looking like false eye lashes. It is so fun to get perfect lashes with this mascara every time. 6. Younique's Moodstruck Precision brow gel and brow liner help do up my brows. I mostly just use the brow gel, but I sometimes use the liner. On the end of the liner is this fantastic brow brush that I love using to shape my brows! My two lip favorites right now are subtle colors. They are easy, and actually, they go together really well. 1. 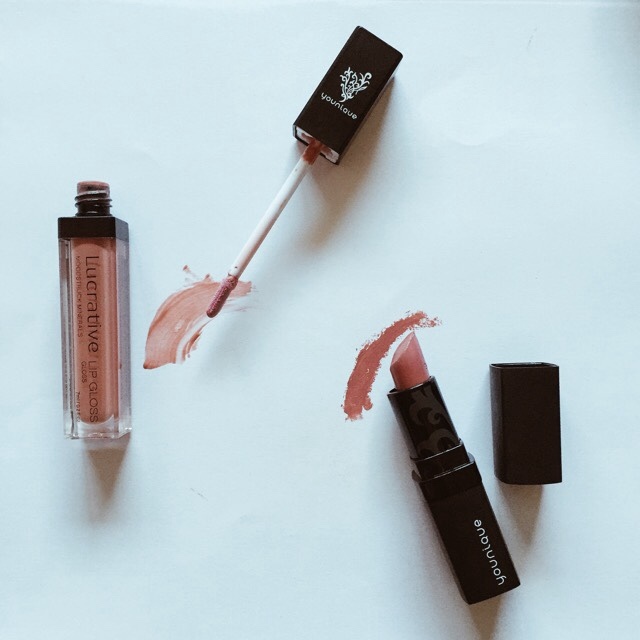 A hydrating lip gloss with all the shine, and no stickiness. Younique's Lucrative Moodstruck Minerals lip glosses take the cake with lip glosses. They are long lasting, non-sticky, and have glorious shine. Not to mention glorious color. They also help hydrate, and during this Winter season, it is so nice to have relief from that dry feeling. 2. Oh goodness. Younique's Opulence lipsticks are creamy, and so pigmented. They are long lasting, and beautiful! The Opulence lipsticks are my favorite lip product from Younique. I have built up quite the lipstick collection. I am obsessed! The only product that I didn't include in my favorites sets is the Splurge Cream Eye Shadow. I love using the Splurge Cream Eye Shadow for those days that I want a little shimmer on my eyes, but without the time. It is so fast using the Splurge Cream Eye Shadow, you can even use your fingers! Just a quick swipe on your eye lid, and viola! Eye shadow is all done. Great for 5 minute makeup days (Which I have been doing a lot of lately). Can you see why this makeup brand is my favorite? The quality shows with this makeup! This makeup has also taught me a lot about makeup tips and tricks. I used to be so intimidated by makeup, but with Younique, I feel comfortable to just dive in, and try new looks and experiment with this makeup. It's just plain awesome! To browse all of these awesome products, if you are interested, visit Younique's website.